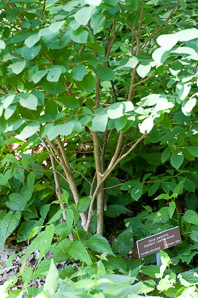 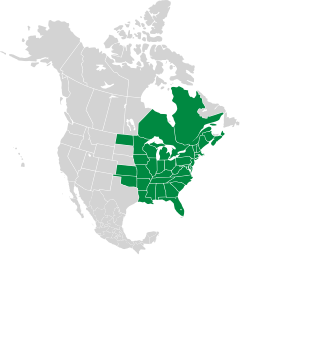 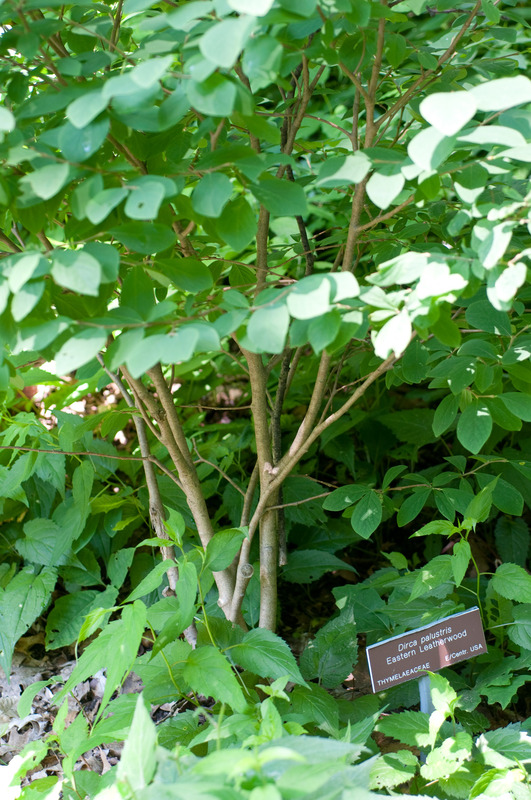 Eastern leatherwood is native to the eastern United States. 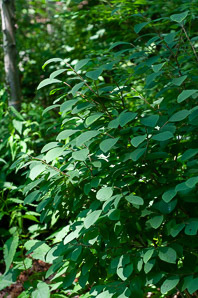 It prefers rich, moist deciduous woods. 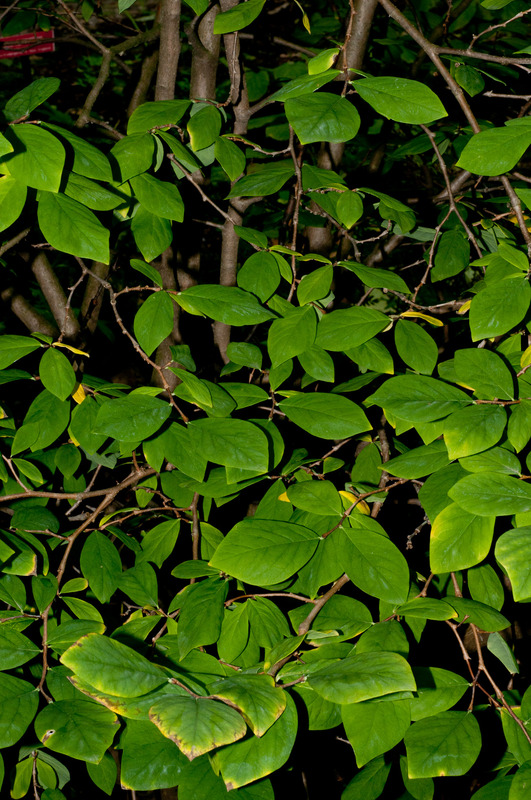 Plants: Deciduous, 3-6' (91-182 cm) tall, with a single or few trunks and a branching pattern that looks a little like a candleabrum. Branches are extremely flexible, and difficult to break. Leaves: Alternate, oval to elliptic, with very short leaf stalks (petioles), 1¾-3" (5-8 cm) × ⅞-2½" (2.5-7 cm). They are hairy when young, hairless when mature. 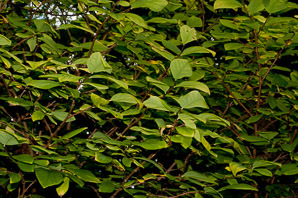 Leaves are yellow in the fall. 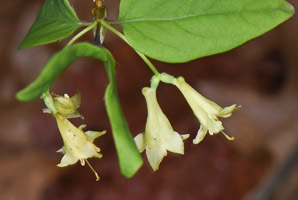 Flowers: Flowers are yellow, shaped like narrow bells, hanging in small clusters. Flowers emerge from leaf axils or branch tips. 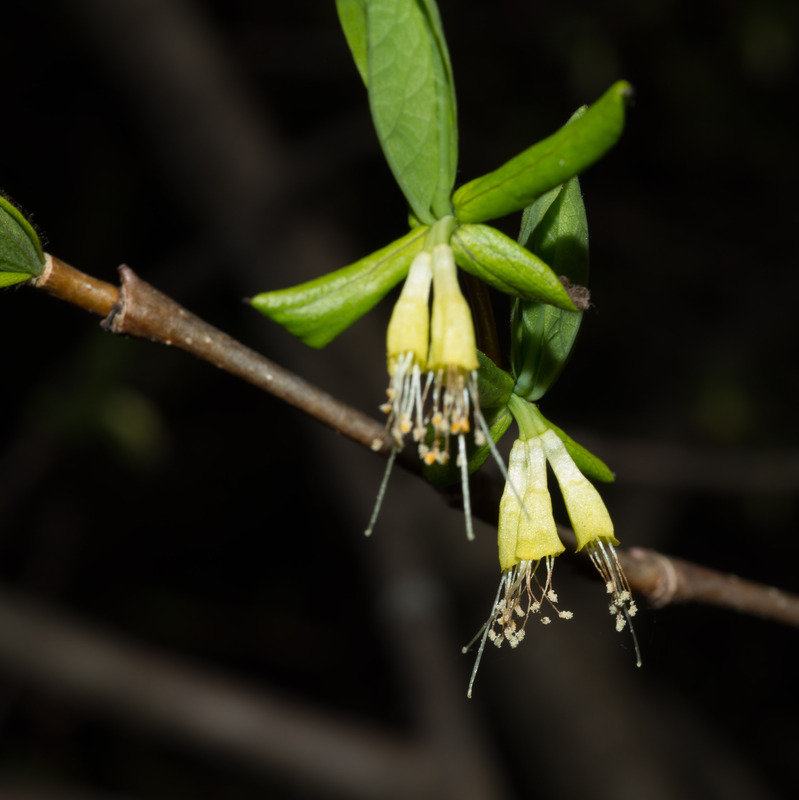 8 orange-tipped stamens hang well below each flower, along with a longer style. 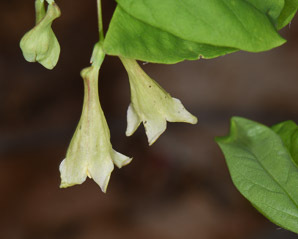 Flowers appear from March to April. Fruits: A drupe that changes from pale green to red or purplish-red. 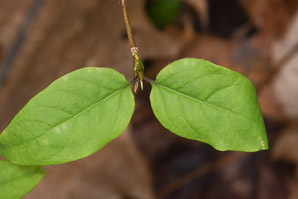 They are oval-shaped, up to ½" (1.3 cm) long. 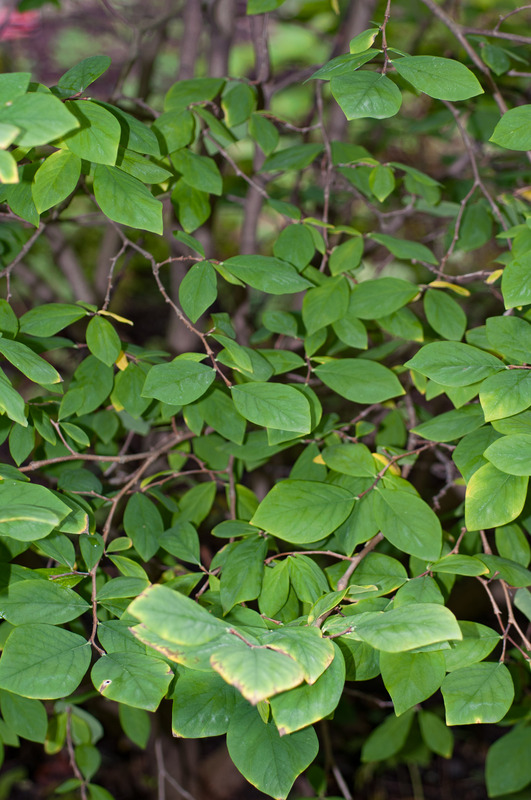 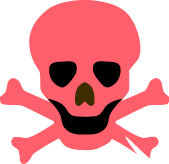 Edibility: Poisonous Leaves and branches contain calcium oxalate, a poison and possible skin irritant. 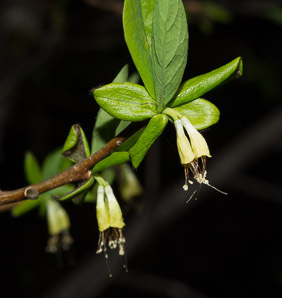 Branches of leatherwood (Dirca palustris), with flowers, fruit and leaves. 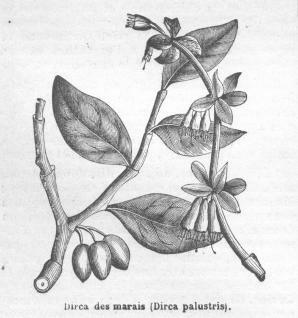 Dirca palustris description by Thomas H. Kent, last updated 2 Jan 2019.